Toll Free: 1-877-470-3473 info@trainingdivision.com Trust Us To Help You Achieve Your Dreams. EMS schooling is an important part of stepping into a career in emergency response. For some, EMS courses provide the foundation that allows them to decide whether this is a desired area of work. For others, EMS training is a step that opens doors to more specialized medical or emergency fields. You may be a high school student who is very goal oriented, set on a systematic approach to achieving your dreams. You may be a full-time worker in an unrelated profession, considering a dramatic career change. No matter where you are in your educational path, our EMS classes enable you to move ahead with your goals without disrupting your current life. Training Division offers the following programs under it’s extensive EMS division. The Emergency Medical Responder (EMR) course was designed for anyone seeking knowledge and certification in medical first response. Much like our popular fire academy design, the classroom portion of this course is completed online. After successful completion of the classroom, the student will attend a weekend hands-on skills session. The practical skills are formatted in a scenario based learning environment. This course contains the required medical hours necessary for Basic Firefighter certification. The First Responder course is ideal for reciprocity of out of state and international students. 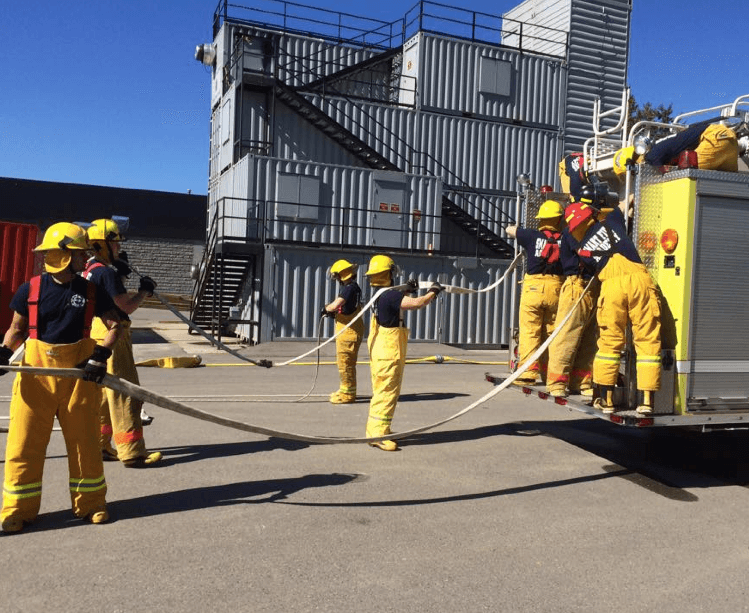 Many students choose to take the First Responder simultaneously with our popular online Fire Academy. This course is designed to teach students to become Emergency Medical Technicians. Much like our popular Fire Academy design, students complete the classroom portion online. Prior to starting the hands-on portion of the course you MUST have: current CPR certification, proof of a background check, medical release form: MMR, TD, Hep B, PPD and a 10-panel drug screen. This course teaches Advanced Cardiac Life Support for the health care professional via an online classroom setting. Part 1 of the course can be taken anywhere internet access is provided. A skills session is the hands-on portion of an AHA eLearning course and includes Parts 2 and 3 — skills practice and testing. It is conducted in-person after a student completes Part 1 online. Our skills sessions are conducted every month at Emergency Training Center. Call our professional staff for more information. This course teaches adult/child CPR, choking, and AED use via an online classroom setting. Part 1 of the course can be taken anywhere internet access is provided. Modules in infant CPR and choking are included. A skills session is the hands-on portion of an AHA eLearning course and includes Parts 2 and 3 — skills practice and testing. It is conducted in-person after a student completes Part 1 online. Our skills sessions are conducted every month at Emergency Training Center. Call our professional staff for more information. The PALS Course is for healthcare providers who respond to emergencies in infants and children. These include personnel in emergency response, emergency medicine, intensive care and critical care units such as physicians, nurses, and others who need a PALS course completion card for job or other requirements.